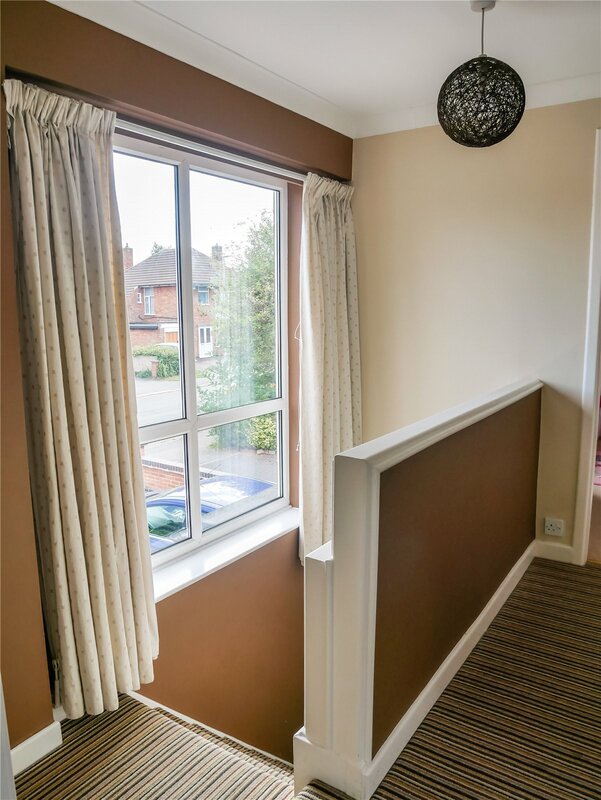 UPVC double glazed entrance porch with door to front and door leading to hallway. 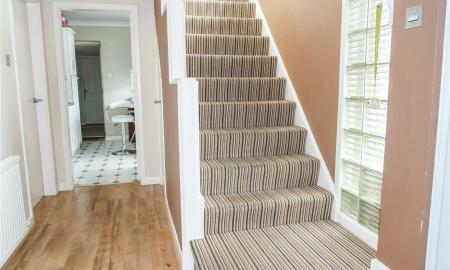 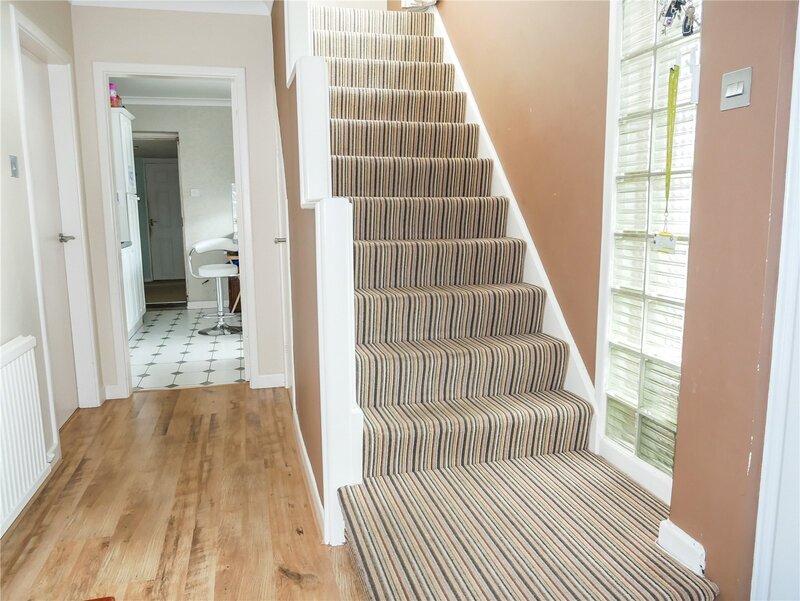 Wide staircase to first floor landing, access into the WC, kitchen and lounge, understairs storage cupboard. 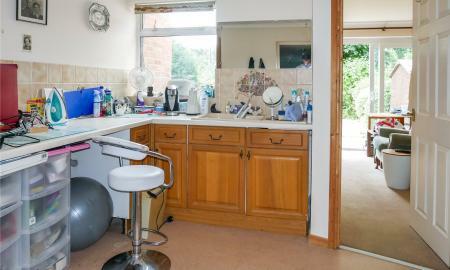 Vanity unit with Wash Hand Basin, WC and obscured double glazed window to side. 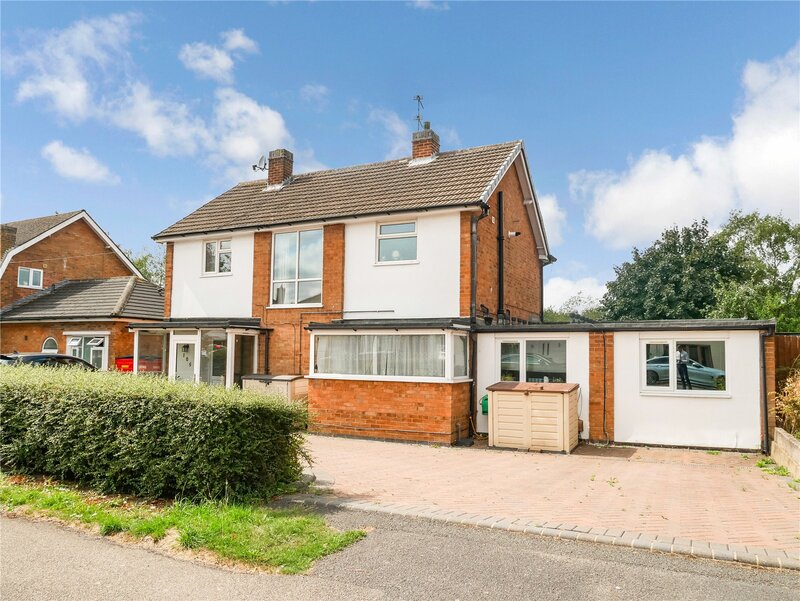 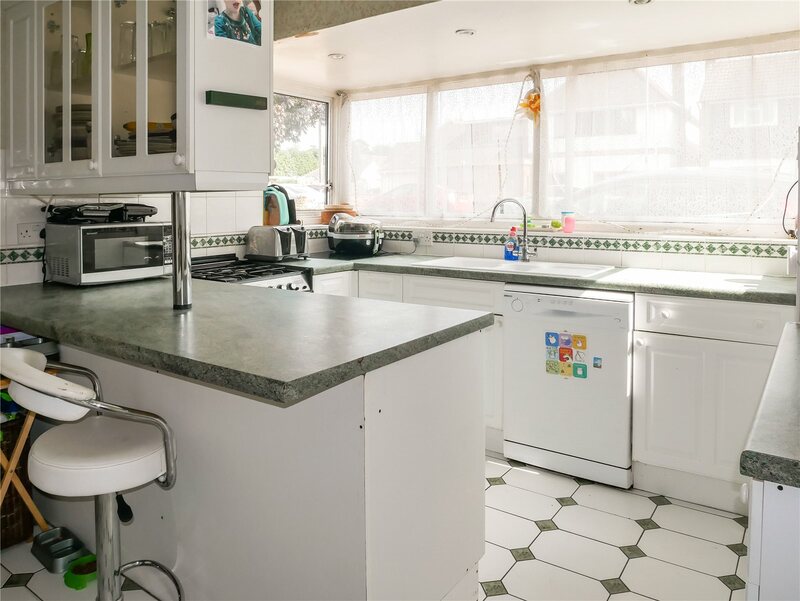 3.9m x 3.3m (12'11" x 10'9") Features a range of wall and base units, worksurfaces, sink and drainer, utility space with plumbing for dishwasher, gas cooker point, breakfast bar island, tiled floor, spot lighting and double glazed windows to front, integrated fridge, There is also access to the annexe and living area of the house. 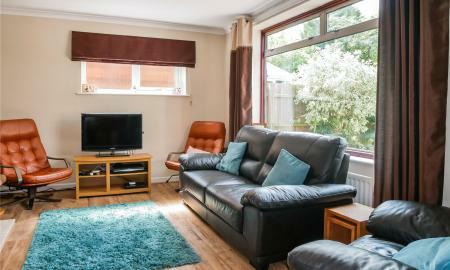 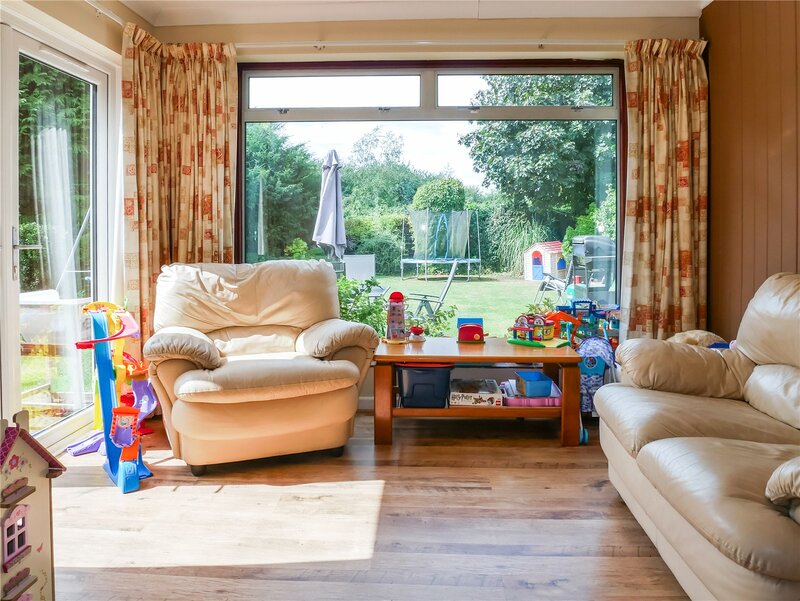 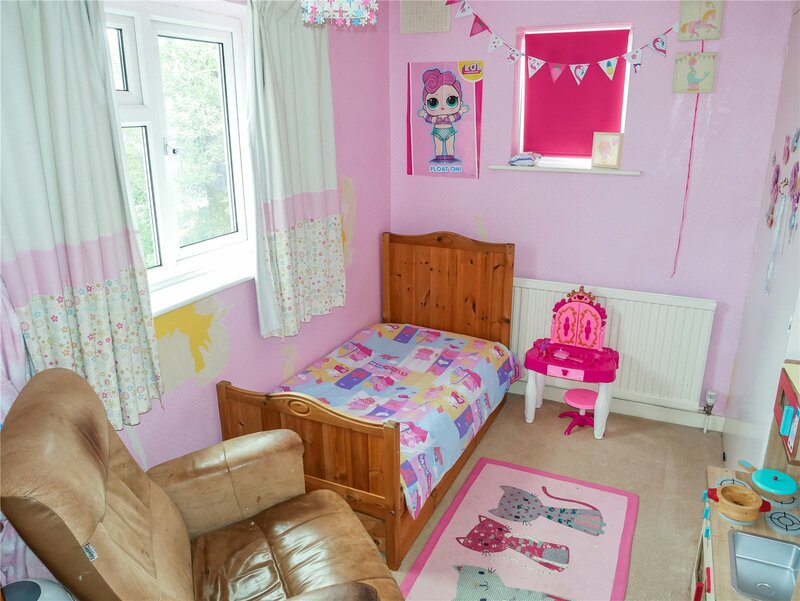 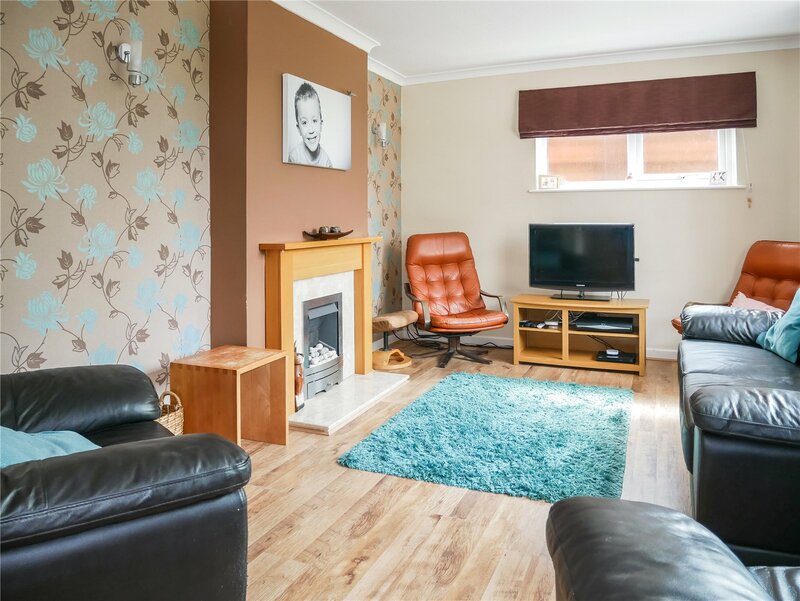 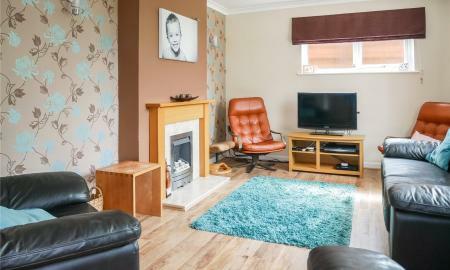 4.8m x 3.4m (15'7" x 11'2") With Laminate flooring, in-set gas fire with marbled heart and wooden surround, radiator, double glazed picture window to rear aspect and obscured double glazed window to side aspect. 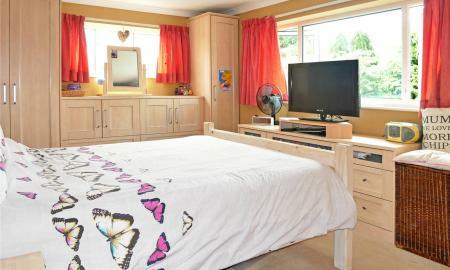 4.8m x 3.2m (15'8" x 10'5") Two double glazed windows to side and rear, radiator,fitted wardrobes and drawers. 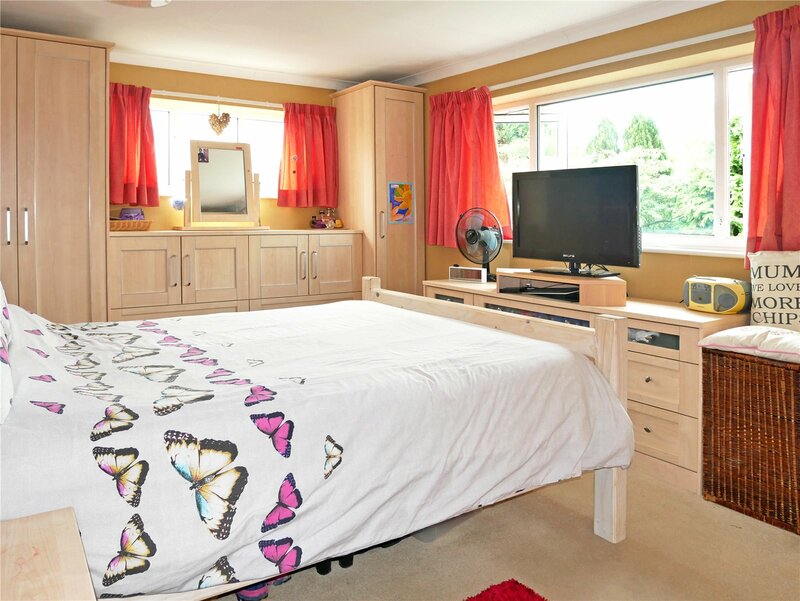 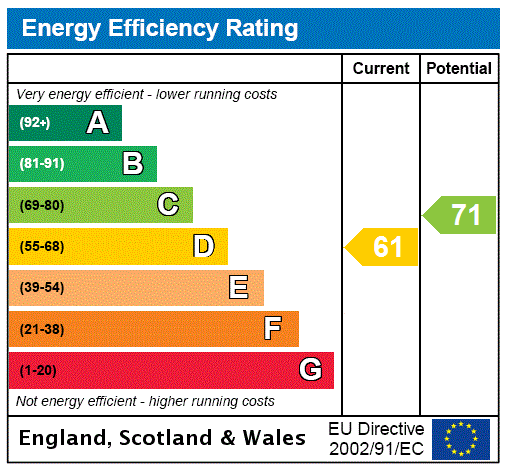 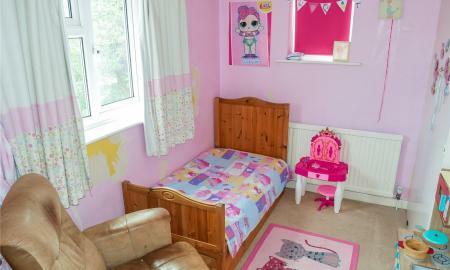 3.1m x 2.4m (10'1" x 7'10") Two double glazed window to front and side, radiator, fitted wardrobes. 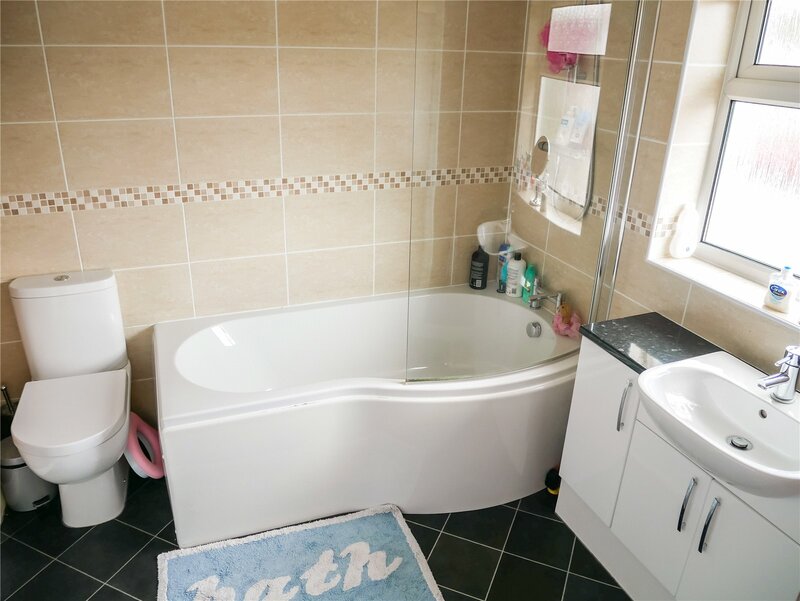 6.0m x 2.5m (19'8" x 8'1") P-shaped bath with shower over, wash hand basin with vanity unit storage, WC, tiled splashbacks,obscured double glazed window to front, feature chrome radiator, airing cupboard housing central heating boiler. 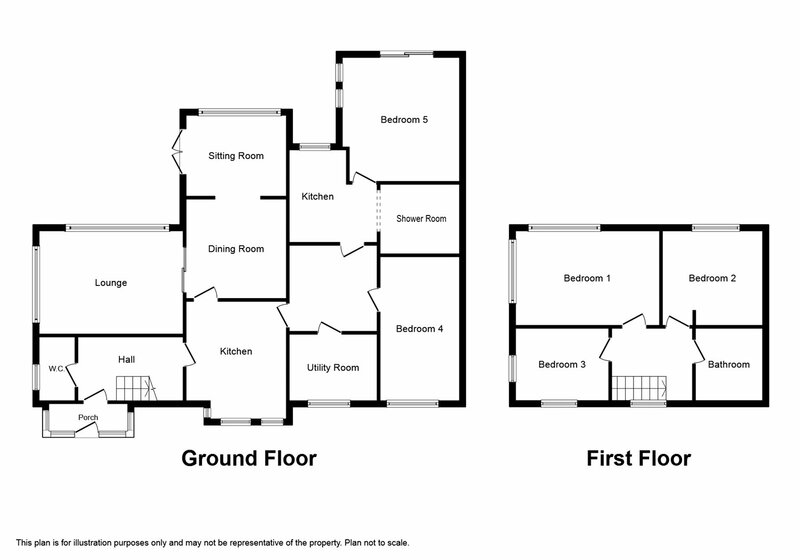 2.5m x 1.6m (8'3" x 5'4") Plumbing for washing machine and double glazed window to front, radiator. 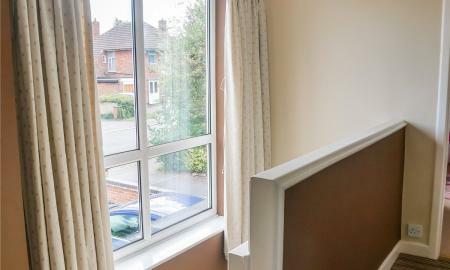 4.8m x 2.6m (15'7" x 8'7") Double glazed window to front and radiator. 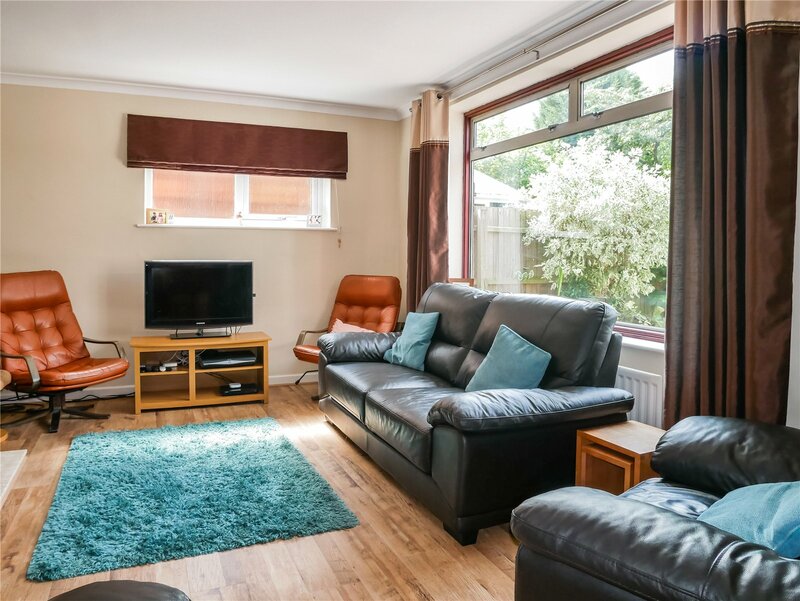 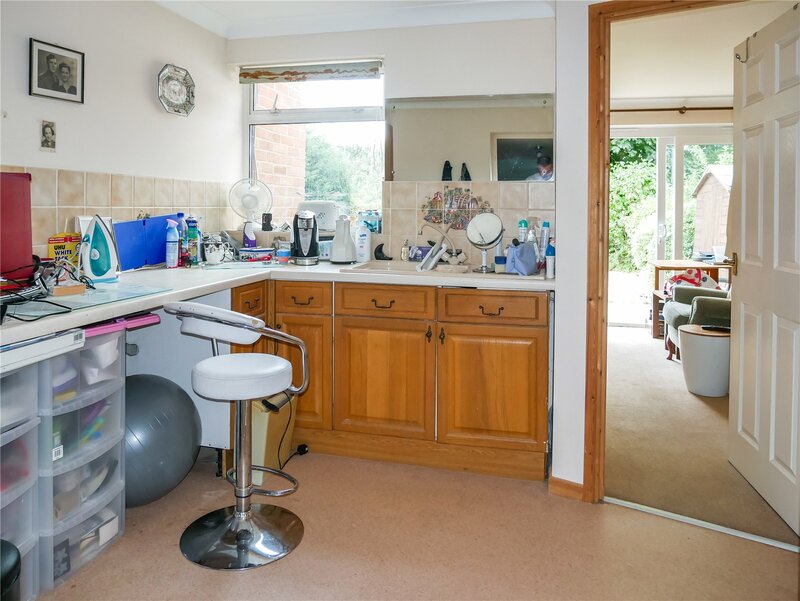 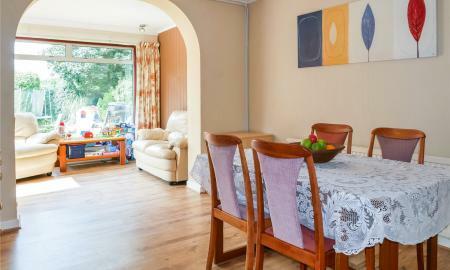 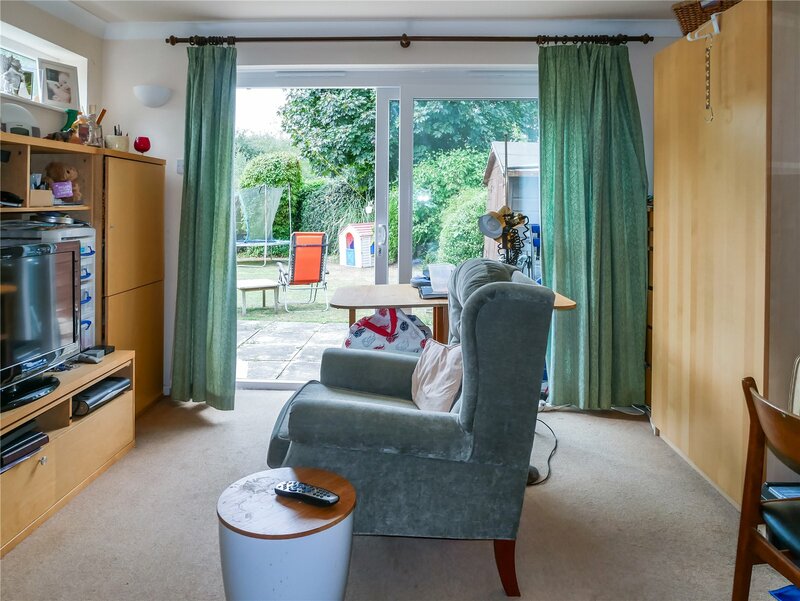 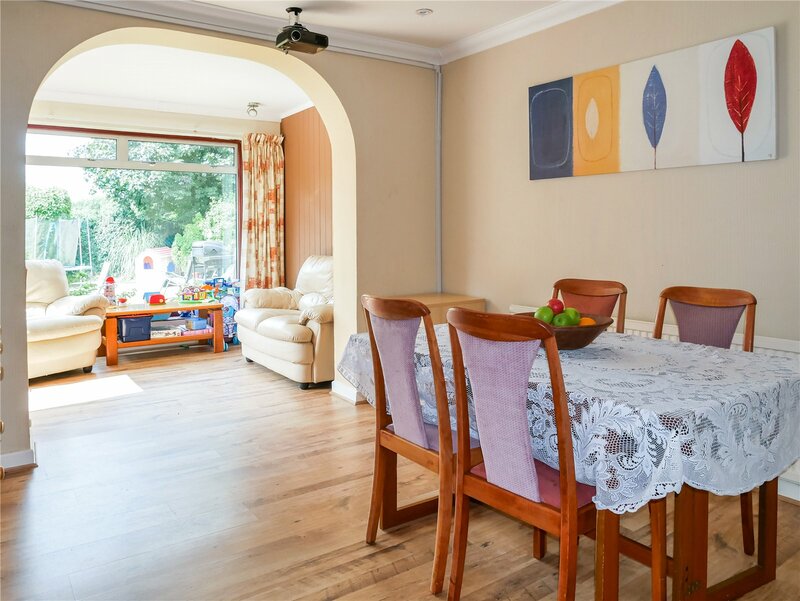 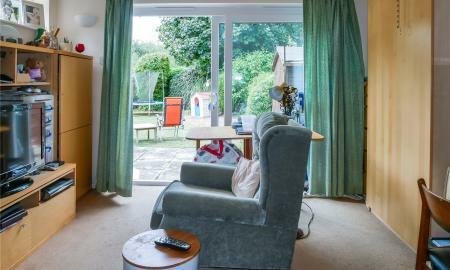 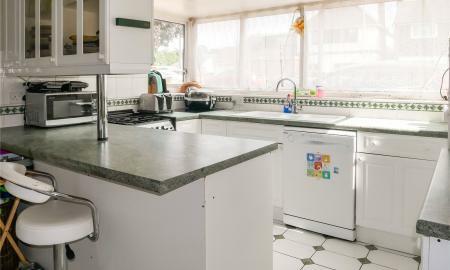 3.1m x 2.9m (10'0" x 9'7") Worksurface, base units, sink and drainer, double glazed window to rear, access to shower room and bedroom five, utility space with plumbing for dishwasher and washing machine, electric cooker point. 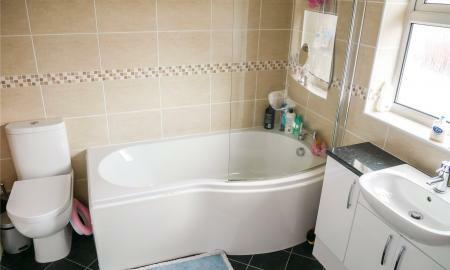 Wash hand basin, WC, tiling and shower, extractor fan. 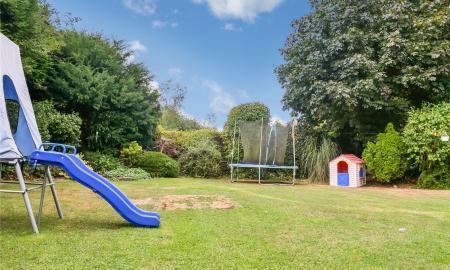 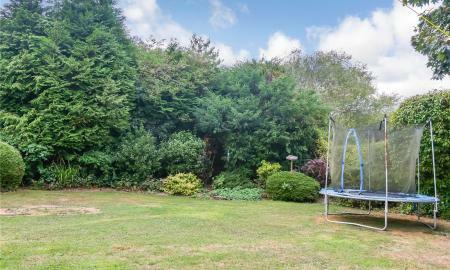 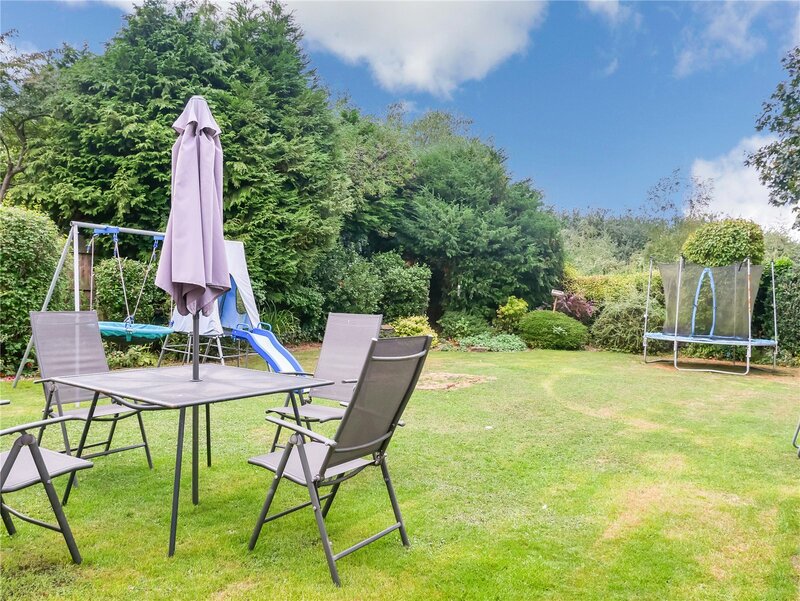 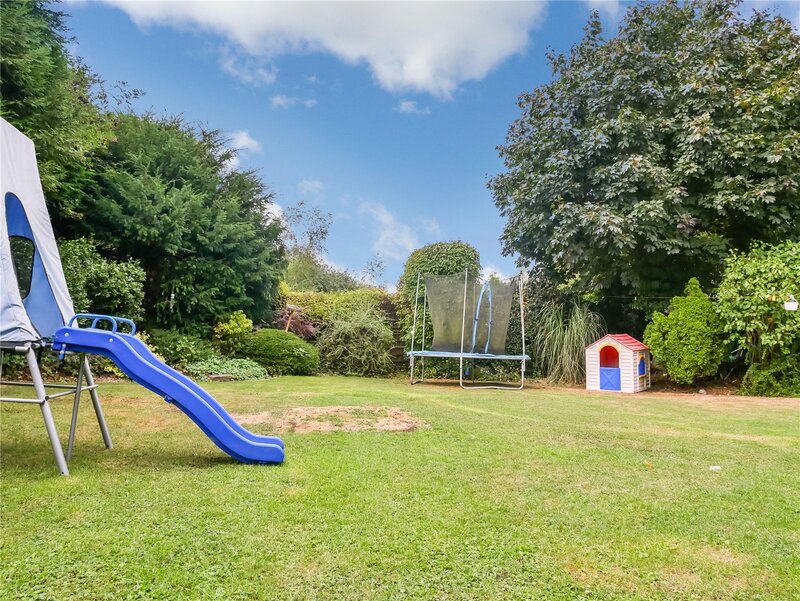 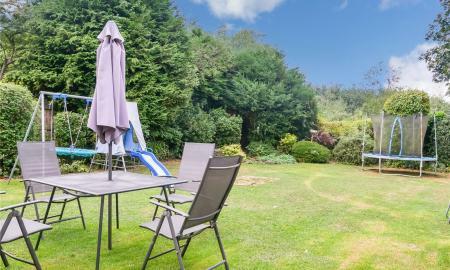 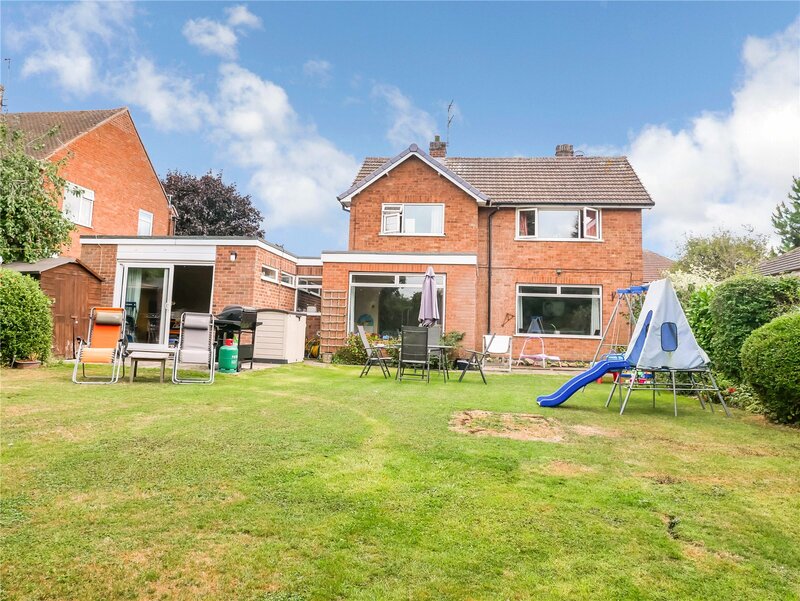 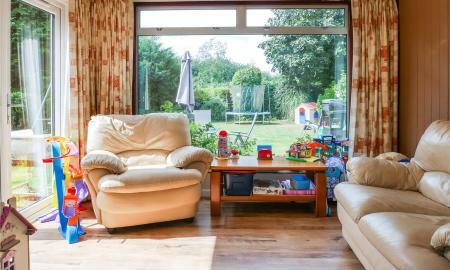 The rear of the property comprises; a large mature garden which is not overlooked, mostly laid to lawn with a variety of plants, shrubs and trees. 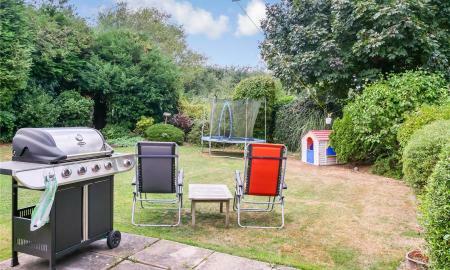 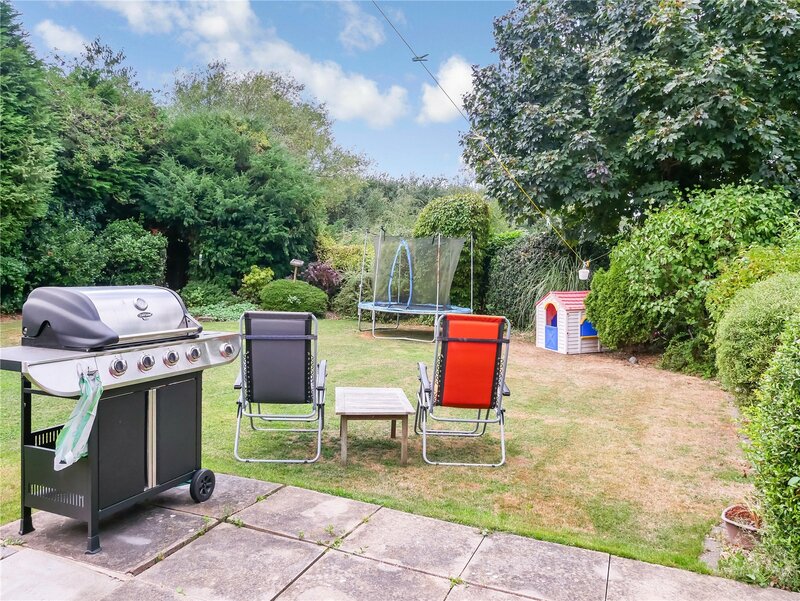 There is also two patio areas ideal for entertaining and barbequing. 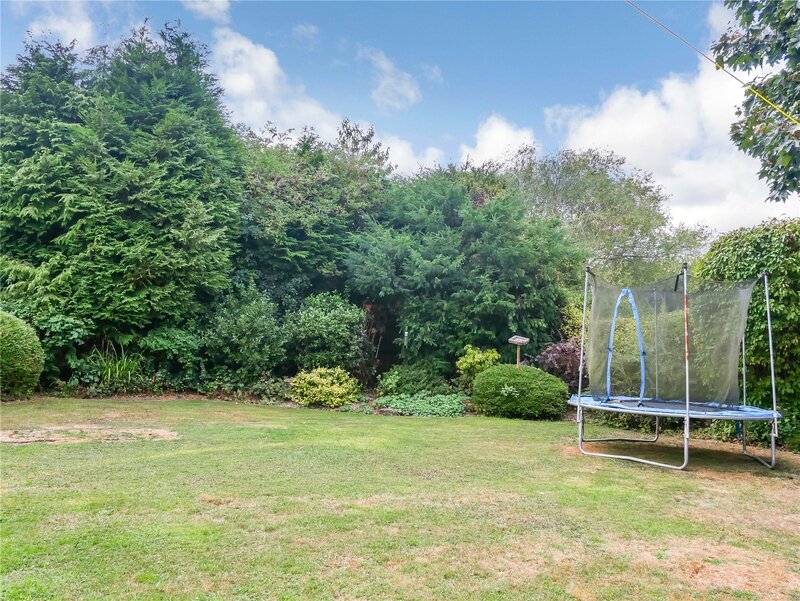 Gated side entry.To the front of the property there is a drive-on drive-off driveway which is block paved offering parking for approx four cars. 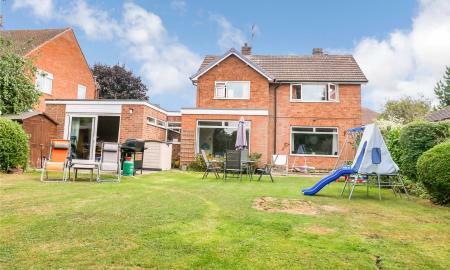 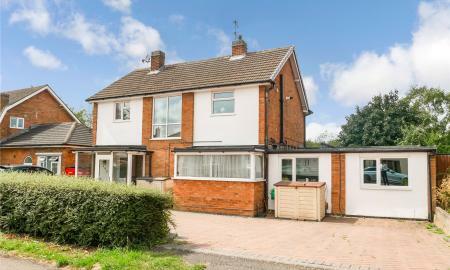 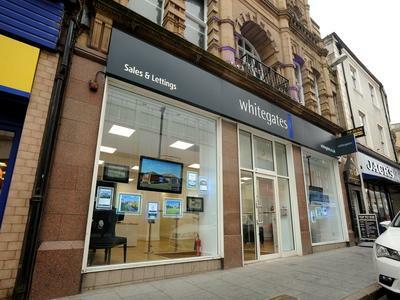 The property also lends itself to being further extended subject to relevant planning permission being granted.